Probably no less than 30 boards in the box. It’s quite shocking to realize how many there are. 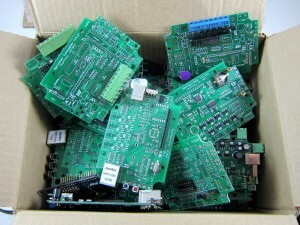 By far getting prototype PCBs has been the most time-consuming and costly part of the development process. First of all, each round of prototype PCBs costs about $50 and takes 9 to 12 days of lead time (using the fastest shipping option), from places like SeeedStudio or Smart-Prototyping. The cost is not dramatic, but the lead time is quite significant unless if I am willing to pay hundreds of dollars to order from US-based services. Also, these boards are unfortunately complex enough that home DIY PCBs are no longer a viable solution. Then, no matter how careful I am in designing the PCB, there are always a couple of unforeseen issues that had to be discovered when I actually start assembling. For example, a component might be too far away from the enclosure cutout, a component footprint might be wrong, two components might be too close to each other, the pin headers were placed in the wrong orientation, and sometimes I forget to add a ground plane. Because these issues are only discovered after one round of PCBs have arrived (then I will fix the issues, refine the design, and order another round), they make the development process sequential and cause the overall time and cost to quickly add up. The good thing is that over time I learn from lessons and accumulate tips to help me maximally avoid potential mistakes. Still, it’s inevitable to produce design issues, which can only be fixed by putting in more money and time. 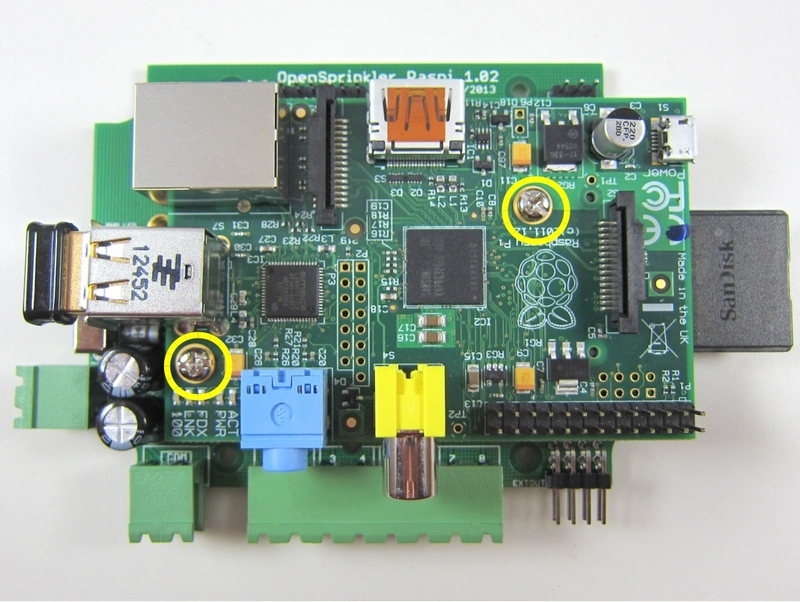 This way, the Raspberry Pi rev. 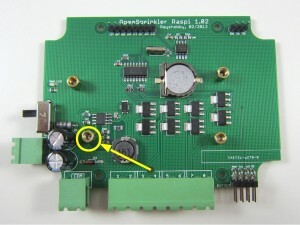 2 can be more securely attached to the OSPi even with just two screws. If you own a Raspberry Pi rev. 1 instead, don’t worry, you can still attach it to OSPi using the two edge screws (see the picture on the right below), in the same way as the original OSPi. To do so, you will need to move one of the separation pillars. See the picture on the left below (sorry, the arrow is pointing in the reverse direction). 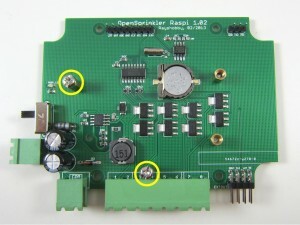 So in sum, the updated version OSPi v1.02 allows you to make better use of the screws holes available on RPi rev. 2 while still being compatible with RPi rev. 1.